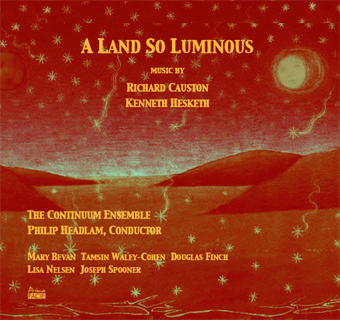 A Land So Luminous features music by Richard Causton and Kenneth Hesketh performed by The Continuum Ensemble under the direction of conductor Philip Headlam with outstanding soloists including soprano Mary Bevan, violinist Tamsin Waley-Cohen, pianist Douglas Finch, flautist Lisa Nelsen and cellist Joseph Spooner. 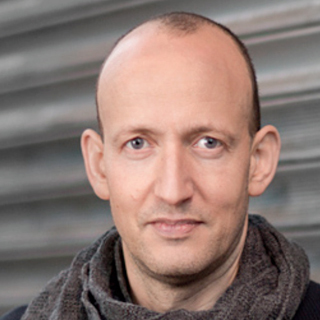 The music draws inspiration from a rich range of sources including Heinrich Hoffman’s 19th cautionary tales for children, Der Struwwelpeter (Shock-Headed Peter), the poetry of Marina Tsvetayeva, Fats Waller and shamanic ritual as well as Mozart’s Clarinet Concerto, K. 622. It features Causton’s enchanting Sleep for solo flute, Non Mi Comporto Male and Night Piece for solo piano, haunting Threnody for soprano and ensemble, Rituals of Hunting and Blooding for large ensemble and Hesketh's brilliant A Land So Luminous for violin and piano, witty trio Cautionary Tales, evocative IMMH for solo cello and dazzling Netsuke for large ensemble. Released on Prima Facie, it is available on download from September 9 at itunes, Amazon, google play music, spottify, http:/primafacie.ascrecords.com and purchase at CD shops in the UK.